…she is one of the most talented, amazing florists I have ever had the pleasure of meeting and a fantastic human being as well! From our first meeting, I knew I would be in safe hands and I had found the right person to help us celebrate our special day. Jess made the whole process stress free and super easy. On our wedding day... WOW!! I was blown away by all the floral arrangements, from the gorgeous arch, to our sweetheart table, to the guests tables they were all stunning with Jess’s creative touch and I couldn’t stop staring at them all!! The colours were so perfect and our guests kept commenting on the flowers! Everything was amazing and better than I had ever imagined!! The final touch at the end of the night was Jess wrapping up the wedding flowers for our guests to take home as a parting gift which was fantastic as the beautiful flowers did not go to waste. Thank you Jess for doing such a fantastic job on our wedding, we really appreciate it, you are truly amazing! Hi Jess, Just wanted to say a huuuge thank you for our florals! ALL our flowers were truely breathtaking! I can’t believe how amazing the reception set up was - it was everything I imagined and more. You were an absolute pleasure to deal with, it means so much that you listened to what Rich and I envisaged and delivered above and beyond. You really did help to transport everyone into another world at Beta Bar! Thank you and your team so much. …for doing my greenery for my baby shower over the weekend. Thanks for brining my vision to life. Have appreciated how easy you’ve been to work with and how you understood the look I was after - thank you, thank you, thank you!!!!! Hope to work with you again real soon!!! What you and the team created…. …on Saturday was beyond my imagination. It was so perfect for what we wanted! 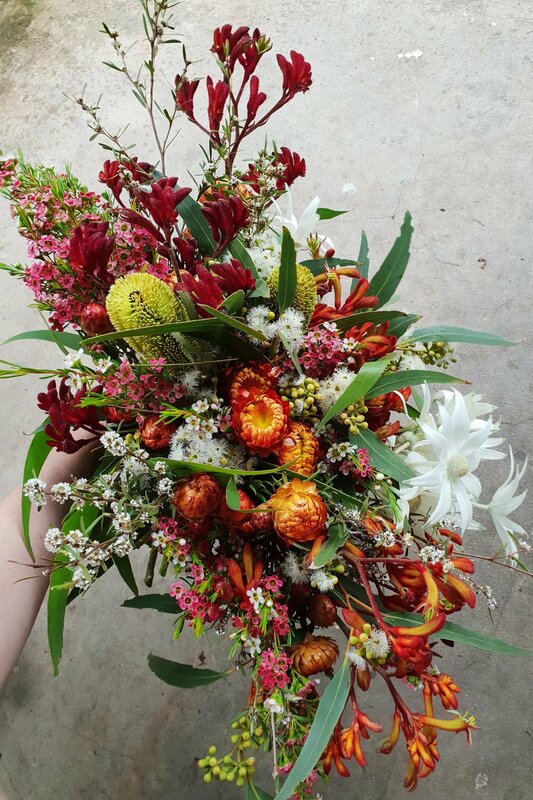 We asked for blocks of colour and you made this soft magical wonderland of Australian flowers in big and bold and soft with those tiny vases and a singular flannel! Thank you!!! Thank you thank you thank you. I’m still processing it all! …you did the most amazing work with the flowers and I had so many people say how amazing they were! I am so glad that Honey Lane suggested you, and thank you for everything you were so lovely to plan with and did an amazing job! What an impact our flowers made to the ‘brightness’ of our wedding day, literally reflective of our joy! I knew that Jess was the one for us after getting a few quotes and responses to our wedding brief - we wanted natives and she has a passion for them. 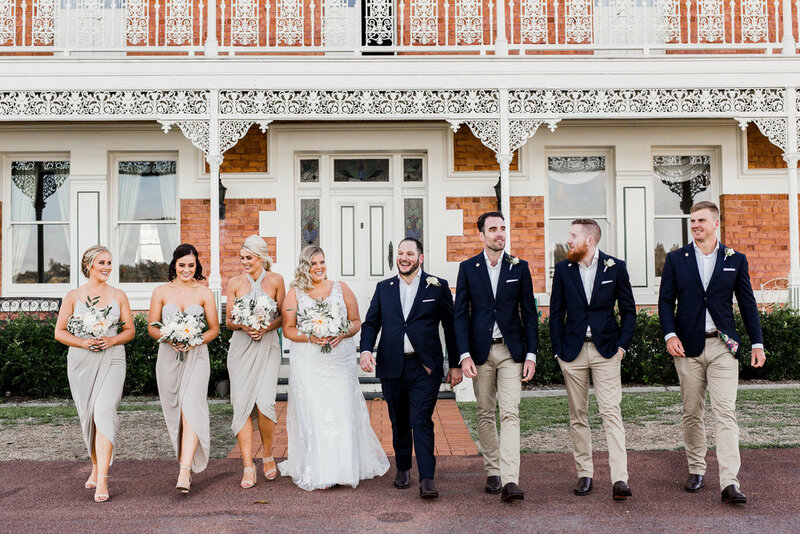 Jess is great communicator who worked with our budget, made everything easy and suggested ways to work around things that suited our ceremony and reception. Even making a few additions closer to the day. …so much for your invaluable contribution to our wedding day. The florals were stunning- such a spectacular colour palette and texture. The venue was absolutely transformed by them into the breathtaking winter wonderland I hoped it would be - thank you so much! We have been so impressed with your service, and how attentive you have been to every detail from the beginning. Please pass our thanks on to all your team members from the day - their work was flawless. Needless to say, I will not hesitate to recommend your business to all our friends! I just wanted to say it has been such a lovely and professional experience working with you! You have made my wedding events really unique and special for my guests. You also managed to balance out both my Indian and western cultures into one theme which is not easy to do!! I really appreciate your attention to detail, your calm and resourceful attitude! All my guests can’t stop mentioning the beautiful decor and florals ! …from the bottom of my heart for all your hard work in bringing everything together on my wedding day. The moment I saw the bouquet I was in tears. It was exactly what I was after, if not even more. The colours were so beautiful!!! 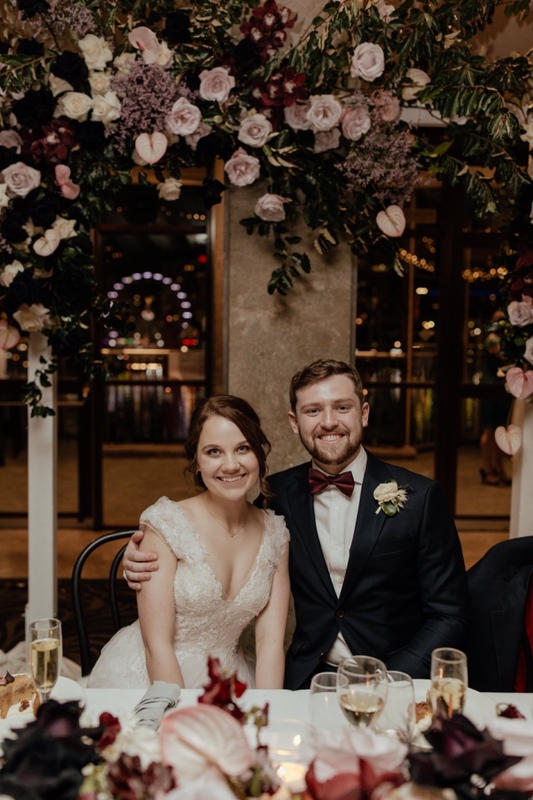 We received compliments all night about how amazing my bouquet was to the flowers at the reception. I am so happy that you were a party of my special day.